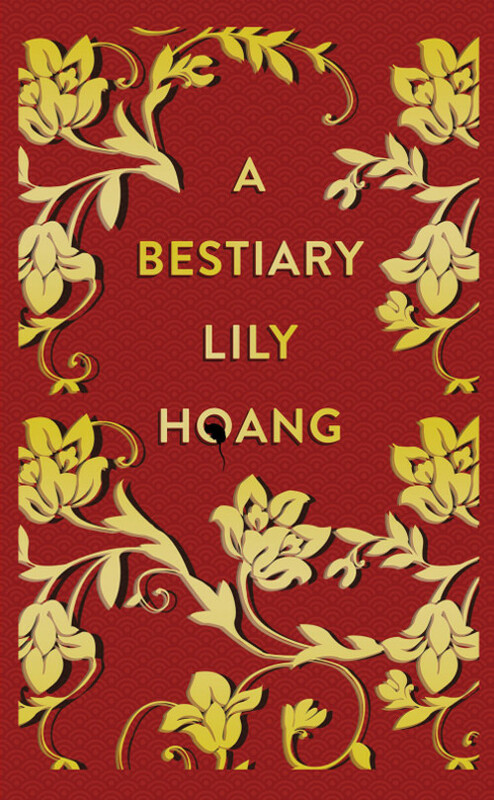 A Bestiary, by Lily Hoang. Cleveland, Ohio: Cleveland State University Poetry Center. 156 pages. $16.00, paper. When it comes to writing, Asian women in America are given two choices. The first, of course, is the one where her exoticism oozes from her skin like bark slathered in sap, where she is delicate like dishes that only see food during holidays. She is an Asian woman with Asian parents who adore her and they have made a life possible only through this bootstrap-raising that the Puritans wrote about in their diaries. The second—also damning—is the one where she is angry, wild. In this narrative, her lack of decency begets what she deserves: no marriage, no children, no medals. My sister died nearly three years ago. I have stopped asking why before once upon a time began. I have renamed her my dead sister. Some essays read as vignettes or parables while others dare even the most free-form lyric essays. “On the Geography of Friendship” with its movements (i.e., “Fugue” and “Allegro Non Troppo”) unfolds like a suite; “On Measurement” is an ode to Vivaldi’s “Four Seasons.” Main characters—her dead sister, ex-husband Chris, lover Harold, and close friend Dorothy—appear often, in the way the same actors play all of Wes Anderson’s characters in his films. With A Bestiary, Hoang takes the illusion of the Asian woman we all recognize—meticulous, string player, passive—and skewers her, without pity. In this fairy tale, Hoang is a “bad feminist” and her sister is the Sleeping Beauty. Vibrating with energy but never maudlin, Hoang repels, and dazzles—an amazing debut. Annalia Luna is currently an inventory assistant and the web orders manager at Brazos Bookstore. She earned her B.A. in Music and Literature from Butler University. She lives and writes in Houston, Texas.